because all were most part of the Habsburg Empire prior to World War I. Later, they were part of Nazi Germany, and except for Vienna, these cities were in the Soviet Bloc (of which there were still traces of ugly concrete-block buildings). 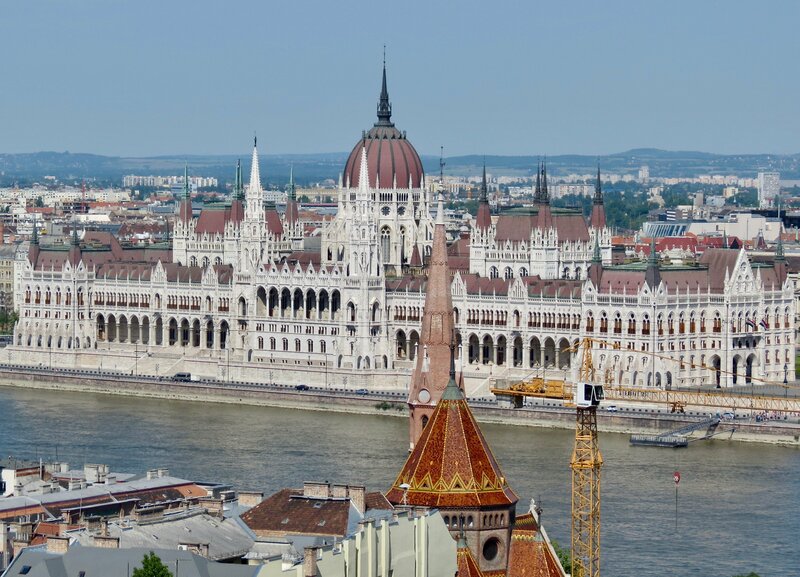 Except for the Budapest Parliament, these former-Habsburg cities blend together in my mind. Again it was the Jewish section of Budapest that we remember most clearly, probably because of our wonderful guide, Gabriella, AND my emotional engagement in its history. Interestingly, the cities of Prague and Budapest have maintained their Jewish “ghettoes,” whether because they truly care or that tourists want to see these sights.